Becky G is currently our new obsession. The 16 year old has worked with tons of our favorite artists including Cody Simpson and Cher Lloyd, and will soon we releasing her debut album! 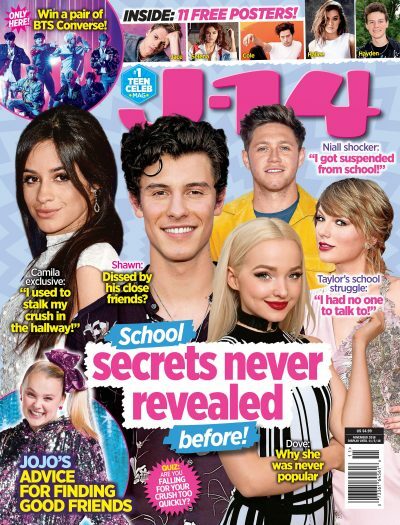 The rapper stopped by the J-14 office today and chatted with us about tons of stars, including Justin Bieber and One Direction. "I think [Justin Bieber's] done really well and I'm such a big fan of his music," Becky G says when we ask her why she likes him so much. "He's an amazing dancer, an amazing performer, I love his style." Justin's style is definitely the first thing that comes to Becky G's mind when she thinks of the pop star. When she played our celeb word game, the rapper blurted out "Gold Chains" when we said Justin's name. Check out the video below and let us know if you agree with her when it comes to One Direction!